As Tax Day approaches, an important civic tradition is at risk. Since Jimmy Carter was in office, presidents of both parties have released their tax returns on or around April 15. This 40-year tradition has assured citizens that their president is playing by the same rules as they are by paying taxes —a vital concept in a democracy. But President Trump has made clear he has no plans to make his taxes public. Though this is a bipartisan issue that should apply to all presidents (and major-party presidential candidates), President Trump’s refusal to disclose his taxes has brought the matter to a head. He is denying voters answers to vital questions that only a tax return can supply. Does our president pay taxes at all? If so, at what rate? Does he have financial arrangements that conflict with his official duties, or even compromise national security? How much would he personally benefit from his proposed tax-system overhaul? Contrary to President Trump’s claim that the public doesn’t care about seeing his taxes, polls show that Americans, by large margins, want him to uphold this important tradition of transparency. An official White House petition calling for release of his returns has collected more than one million signatures. There are bills in Congress that would require presidents and major-party presidential candidates to disclose recent returns. Legislatures across the country are considering laws that would require presidential candidates to release tax information as a requirement for appearing on state election ballots. A broad national movement to require disclosure of presidential tax returns is gathering force. This April 15—traditional Tax Day—thousands of citizens will march in Washington, D.C., and in more than 100 communities across the country (scroll down for locations), demanding that President Trump release his tax returns. They will also be marching in opposition to the president’s tax proposals, which are heavily slanted to benefit wealthy families and large business interests. Americans for Tax Fairness urges you to join this public demand for transparency by publishing an editorial calling for President Trump to release his personal tax returns by April 15, and urging Congress to pass legislation requiring public disclosure. We also hope you will editorialize against the tax overhaul plan Trump proposed during the campaign, which would lose $6 trillion, mostly through tax breaks for the rich and big corporations. Below is a detailed explanation of our views on these matters with links to source documents. Richard Nixon released his tax returns in an attempt to prove he was not evading taxes. President Ford released summaries of his tax filings. Beginning with Jimmy Carter, presidents of both parties have routinely disclosed their annual returns, usually around Tax Day. Every major-party candidate except Ford has also released at least one year of past returns—and often many more—while running for president. Other, earlier presidents and presidential candidates have also released personal tax information, which is available at the Tax History Project run by Tax Analysts. President Trump claimed at a news conference in January that the public doesn’t “care at all” whether he releases his tax returns. But polling shows the opposite. A January ABC News/Washington Post poll found that nearly three-quarters (74%) of respondents—and nearly half (49%) of his own supporters—want Trump to make his returns public. A White House petition demanding Trump release his tax returns broke a record for signatures within six days of being posted. It has since collected more than one million signatures. U.S. Sen. Ron Wyden (D-OR), the Senate Finance Committee’s top Democrat, introduced a bill (S. 26) that would require presidents to release their three most recent tax returns through the Office of Government Ethics (OGE). Major-party presidential candidates would face the same requirement within 15 days of nomination, in their case making disclosure through the Federal Elections Commission (FEC). In the case of noncompliance, the Treasury Department would be required to disclose the necessary information to the OGE or FEC, who would then make it public. U.S. Rep. Anna Eshoo (D-CA) has introduced companion legislation (H.R. 305) in the House. Half the nation’s state legislatures are considering bills that would make release of personal tax returns a requirement for gaining access to a state’s election ballot. In mid-March, New Jersey’s statehouse was the first to pass such a bill, and it awaits action by Gov. Chris Christie. Tax Compliance: During the Nixon Administration, it was discovered that the president had used improper deductions to pay less than a thousand dollars in taxes in years when he had more than $200,000 in income. If he hadn’t resigned because of the Watergate scandal, the chairman of the House Ways and Means Committee at the time suggested this evasion might have been enough to force Nixon from office. We know that President Trump has paid nothing or close to it in federal income taxes in five of the last 40 years, according to The Washington Post. While there is no evidence of illegal tax evasion, the public has a right to know how aggressively their president is using loopholes to shrink his financial contribution to the national government he now leads. Foreign Influence: The Founders were sufficiently concerned about potential outside influence over federal officials that they included in the Constitution a prohibition on U.S. officeholders receiving presents from foreign governments. 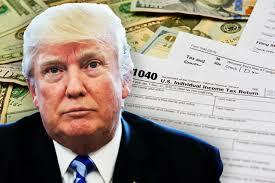 Tax returns could indicate if a president was receiving income or other benefits directly from foreign governments, or from business interests closely connected to such governments. With congressional and criminal investigations underway of possible collusion between the Trump campaign and Russia to influence the 2016 presidential election, it’s particularly important to better understand President Trump’s financial ties to Russia. His son and business partner, Donald Trump Jr., once declared that, “Russians make up a pretty disproportionate cross-section of a lot of our assets,” boasting that the Trump organization has benefitted from “a lot of money pouring in from Russia.” As head of an international real estate and branding business, Donald Trump has many other business entanglements in countries with which the U.S. has delicate or complicated relationships, such as Saudi Arabia. Conflicts of Interest: A U.S. president—especially a wealthy one like Trump—is uniquely able to obtain personal benefit from public policies. Since current conflict of interest laws do not apply to the president, it’s only through disclosure of tax returns that Congress and the public can hope to police such behavior. The president’s personal benefit is especially relevant to the crafting of tax-reform legislation. Based on public information, we can be fairly confident that President Trump would benefit personally and substantially from many of the provisions of the tax plan he released during the campaign, which were analyzed by the nonpartisan Tax Policy Center. Of course, we can’t know for sure or by exactly how much without the release of his tax returns. Elimination of the Alternative Minimum Tax: The AMT is meant to ensure that wealthy households cannot use excessive deductions, credits and other breaks to avoid paying a reasonable rate of tax or avoid taxation completely. President Trump wants to eliminate the AMT. In 2005, it was the AMT that resulted in Trump paying about a 25% tax rate on roughly $150 million in income. Without the AMT, his tax rate would have been just 3%. Eliminating the AMT would cost over $400 billion over 10 years, according to the non-partisan Tax Policy Center. Abolishing the Estate Tax: Only the richest one in 500 families pays the estate tax, which levies a 40% tax on estates worth more than $11 million per couple. It is the federal government’s only curb on the accumulation of dynastic wealth. Trump wants to abolish the estate tax. If he is in fact as rich as he claims—something that could be better determined by seeing his tax returns—his family alone could boost their inheritances by billions of dollars if the estate tax is eliminated. Eliminating this key tool in reducing economic inequality would cost $174 billion over 10 years. Real Estate Loopholes: President Trump has not proposed closing any of the many tax loopholes available exclusively to real estate investors like him. These special breaks—which include depreciation, exemption from “at-risk” rules, and “like-kind” exchanges—are probably what has allowed him to pay so little in taxes in the years for which we have information. But we can only know by seeing his returns how much his decision to retain these loopholes benefits him personally. A few more details about President Trump’s tax plan from the campaign are worth noting. Overview: Trump’s tax cuts would cost $6.2 trillion over 10 years, according to the Tax Policy Center. Paying for them would require deep cuts to public services and benefits – from Medicare and Medicaid, to education and infrastructure. Three-quarters of the lost revenues would come from corporate and business tax breaks largely benefitting the rich. The top 0.1% of households, which includes Trump’s, would get an average annual tax cut of about $1.1 million each. Nearly half (47%) of the tax cuts would go to the top 1% of households, each of which would get an average tax break of nearly $215,000 a year. The average family making about $50,000 would get a tax cut of just $400—about one dollar a day. Corporate Tax Rate: Trump’s plan would cut the corporate tax rate by nearly 60%—from 35% to 15%—losing $2.6 trillion over 10 years. Corporations are already providing a diminishing share of federal revenues at a time of record profits. Only $1 out of $9 of federal revenue now comes from corporate taxes; it was $1 out of $3 sixty-five years ago. Offshore Corporate Profits: American corporations hold $2.6 trillion in earnings offshore on which they owe an estimated $750 billion in U.S. taxes, according to the Institute on Taxation and Economic Policy. Trump’s plan would cut the tax rate on those offshore profits from 35% to just 10% on cash and only 4% on non-cash assets, raising around $150 billion. This would give multinational corporations with accumulated offshore profits an undeserved tax break of about $600 billion. Individual Tax Rates: Trump’s plan would consolidate and lower tax brackets, costing $1.5 trillion over 10 years and mostly benefitting the wealthy. It would reduce the tax rate on top earners from about 40% to 33%. Meanwhile, it would actually increase taxes on 8.7 million mostly low-and middle-income families with children, including more than half of single parents. For all these reasons, we urge you to publish an editorial prior to April 15 on the related issues of Trump’s tax returns and Trump’s tax plan. The American people deserve access to the former and a fairer version of the latter. 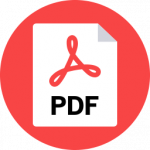 For a PDF of this document, click here.